So every year, come February, I do the internet thing and get a couple of tickets for a mid-summer Cubs game. Then April comes; when, you know, they actually start playing real games. And I have tickets for an August game. But I suspect that it is not only the nostalgia of that ol’ ball park that keeps me going every year; it is the fact that I cannot bring myself to cut my losses, write off the $120, and carry on, because making that choice clearly signals that I made a bad decision to buy the tickets in the first place. My quandry with my Cubs tickets is an example of the decision making trap called sunk costs — when previous investments of time or money become unrecoverable and we know that those “sunk costs” are irrelevant to making a current decision, but those costs prey on our minds and influence us to make additional bad decisions, resulting in further investments of time and/or money. In other words, we seem to have a deep-seated bias to make choices in a way that justifies our past choices. 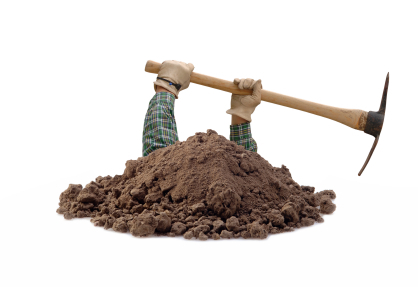 Mr. Buffet would say we have a predilection to keep digging. We may have invested heavily into improving the performance of an employee whom we know we shouldn’t have hired in the first place. We may plan initiative after initiative and implement change after change to improve the performance of a business acquisition or organizational structure change that we simply, in retrospect, should not have pursued. Mr. Buffet: It is very, very hard to stop digging! I think it is this decision making trap that is underneath why it is sometimes critically necessary to provoke a change in leadership. A business decision that is ultimately judged as a bad decision is very visible, with serious consequences, both practical and psychological. The strategy-of-choice is often to escalate commitment and resources, throwing good money after bad, and compounding the problem. The lesson here is not that we should avoid making bad decisions. When we’re making decisions, we will inevitably make some bad ones. The lesson is to admit the mistake, not throw good money (and time and energy) after bad; instead cut your losses, and go forward. In other words stop digging. But it is very, very hard! At least for me, since, yes, I will be at the Cubs game in August … but just you wait until next year! 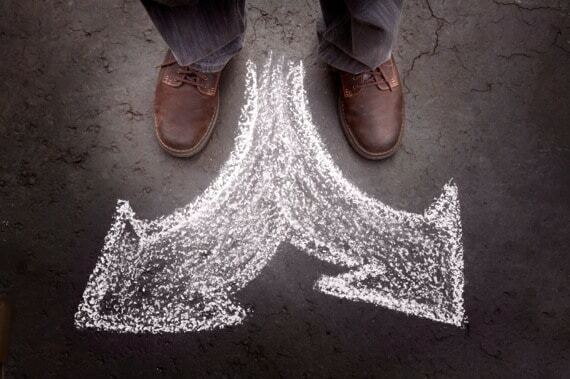 This post draws from a Harvard Business Review article The Hidden Traps of Decision Making. John: Maybe you should try the southside. That’s not playing fair Dan the Man …! Wait for it…almost there… EYE ROLL! Consider taking that money and attending a musical. It features live entertainment and it’s very rare for beer to be poured in your lap.